This product offers a trial period of 28 days for members referred by Jim Pickins. Four weeks give you adequate time to source, list, and potentially sell your first few flips before your first bill even comes due! 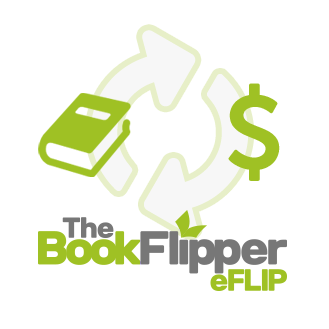 eFLIP by The Book Flipper is an ultra-powerful book-sourcing software that helps you pinpoint in-demand books on Amazon and resell them for high profit margins… All in just a few clicks! You’ll receive access to a constantly-curated database of potentially flippable books on Amazon. You can sort and search by 8 different factors to find the most profitable books to sell quickly and easily. Watch this short video to see the software in action! Downloadable eFLIP Book Tracker – The Book Tracker spreadsheet will help you track all of your book purchases to make sure nothing slips through the cracks. #nobookleftbehind! Access to the Private eFLIP Facebook Group – This is a forum for you to learn from your peers, ask questions, and provide feedback regarding future software development! Sounds pretty great, right? What are you waiting for? Get started now, and begin flipping books in minutes!